Commemorations - Ballyclare War Memorial and Kilbride Parish Church. Parents - Francis Joseph Taylor (born in England) and Margaret Taylor (née Patterson), Springvale, Doagh. Frank Taylor was manager of Springvale Works and was church warden for many years. Frank died suddenly on 26th January 1919. John’s brother, Joseph, also died in the war and is buried in Hamburg, Germany. 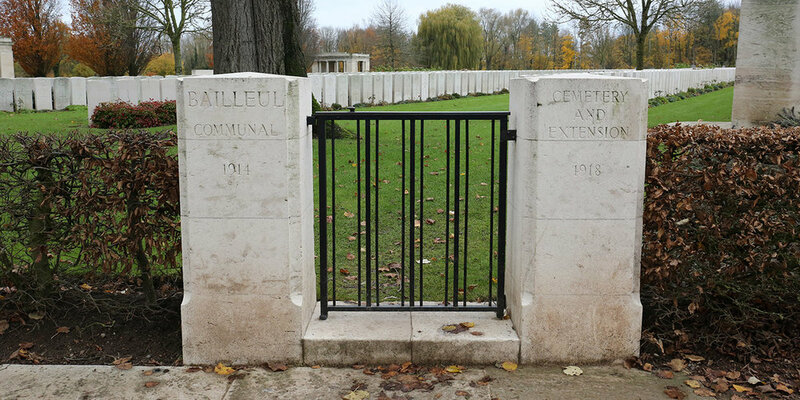 Thomas Whyte, 12th Battalion Royal Irish Rifles, is also buried in this cemetery. He is also commemorated on the war memorial in St Bride's.